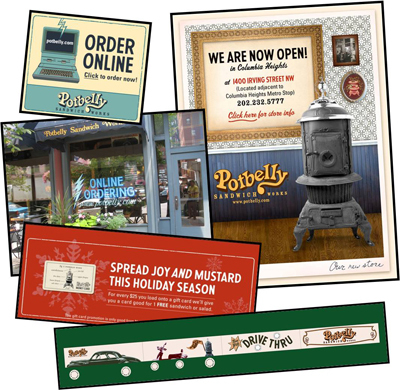 Worked with advertising agency and internal creative designers everyday to continually produce, unique, quirky, effective communication that was a dead-on fit for the Potbelly brand. Created a unique "Brand Book" describing the brand's tone and personality, visual treatment, and communication guidelines. Below are some examples.